Gudrun has worked as a social researcher for the last 20 years. 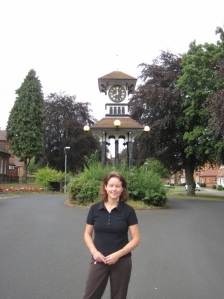 After completing a Masters Research and Social Policy at the University of Birmingham, Gudrun became interested in oral history as a means of understanding and describing recent events. She has written an oral history of the Irish community of Birmingham and was then fortunate to be taken on by Birmingham City Council to create an oral history of children’s homes run by the Council. After this project, looking at more than a hundred different children’s homes was completed, she realised that there was still so much more to learn and share about individual children’s homes and the experiences of the people who spent all or part of their childhood living in them. She established the cottage homes website (www.childrenscottagehomes.org.uk) in 2011 to collect information about cottage homes throughout England and Wales and is working on a series of oral histories about children’s homes. The first of these, The Children of the Homes: a century of Erdington Cottage Homes, was published in 2012. And when she’s not working, you’ll find her out running! is out there. My hope is that this site and the books go some way towards filling that gap"